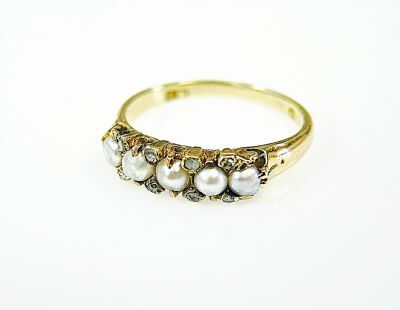 A beautiful 14kt yellow gold ring with 5 silvery grey seed pearls, approx. 2.8-3.3mm and 8 rose cut diamonds,est. 0.11ct (clarity:I1 & I-J colour).